If you hold an FHA mortgage now, you have the option of refinancing with the FHA Streamline Refinance program. This popular refinance program can make a lot of sense in certain situations, especially for those who are locked into an interest rate that is considerably higher than current rates. Many homeowners that have an existing mortgage insured by the FHA are unaware of their eligibility for this exclusive refinance program. One of the most important aspects generally of the FHA Streamline Refinance program is that you do not need as much paperwork and documentation. One of these items is that the lender does not need to order a new appraisal for the new loan. A new appraisal is usually ordered to ensure that the home is worth what is being loaned out. This ensure that the lender would be able to sell the home for what it loaned you if you default on your obligations. However, with an FHA streamline loan, the lender will use your original purchase price to represent the value of your home. This is a big deal because you do not have to worry about the appraisal coming in high enough, nor do you have to wait for the appraisal results to come back. You also may be eligible for an streamline refinance if you are underwater on your FHA loan. This also is a huge deal because one of the reasons people may refinance is they need to save money due to a job loss, or a reduction in hours. If you don’t have as much income, you might be having trouble with the mortgage payment. But with regular refinances, you would have to prove your income and employment. If you have been making your mortgage payments regularly until now, FHA will not need to verify your employment or income again. FHA streamline guidelines do not require a credit check for you to get a loan refinanced. However, some FHA streamline lenders might require you to have a credit score of 620. If you have poor credit due to a job loss, you may need to shop at several FHA approved lenders to find one that will do your refinance. Make sure you are talking to experienced companies that approved for FHA streamlines in your region. What Are the Minimum FHA Loan Credit Scores? One of the major benefits of an FHA mortgage is that the rate is below market in many cases. When you refinance, you can get the same rate as on your first mortgage. Many conventional refinance loans have a higher interest rate than a first mortgage. So this can be a money saver for you. In most cases, FHA streamline rates are as low as any other programs for home refinancing. Some mortgage refinances will charge you a pre-payment penalty if you pay off your loan early. An FHA Streamline Refinance will not charge you a pre-payment penalty if you pay it off early. 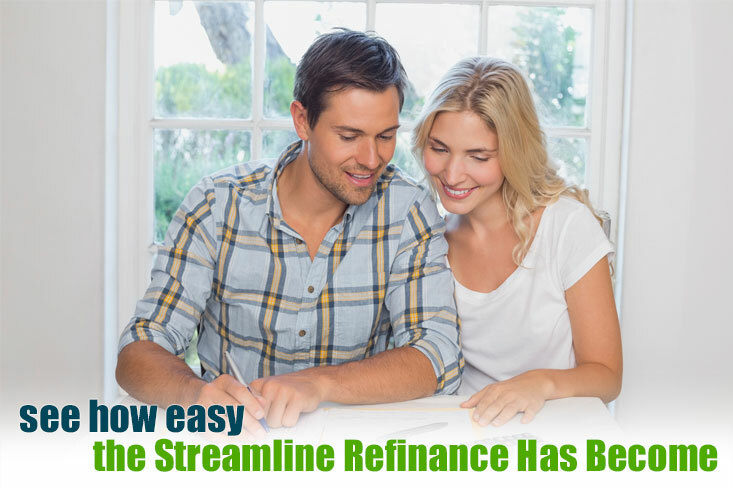 All of these reasons make getting a streamline refinance a good idea for many homeowners. You have to get some sort of tangible benefit by doing the refi. This means you need to have a lower mortgage payment, including interest and insurance by at least 5%. Closing costs need to be paid with cash when you close, or paid for with adjusting to the financing, if the lender allows it. If this is done, you will have a slightly higher interest rate. Also, if you think that you are going to move next year and you should not bother to refinance, this may not be the case. An FHA Streamline Refinance has fewer costs than a traditional refinance, including no appraisal, so you may be able to break even on the new loan faster than you think. Like any loan, an FHA Streamline has advantages and disadvantages. Let’s break them down. You can qualify very easily. FHA financing is intended for people who have poor to average credit. If you have a credit score under 740 but above 640, you may look at conventional refinancing as well. If you have a credit score over 740, conventional financing is often better. No appraisal. As noted earlier, having no appraisal is a major advantage due to there being no question that the loan will go through, as far as the home’s value. Mortgage insurance: When you get a new FHA mortgage, you have to pay your upfront mortgage insurance premium again. If the loan to value is 78% or higher, you have to pay for mortgage insurance premiums each month. If your new loan was taken out after June 1, 2009, your mortgage premiums will be higher. Closing costs: All loans have closing costs. FHA states that you are not allowed to finance closing costs into the loan. You either have to pay in cash or you find a lender that will do a zero cost refi. This means that you will just pay a higher interest rate. So you are still paying closing costs. For the majority of FHA lien holders, an FHA-streamline refinance is a good option. 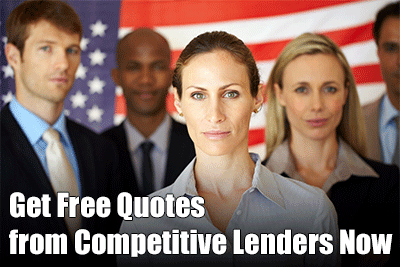 It is very easy to qualify for, has relatively low costs, and the interest rate is very low. Most borrowers will be able to save hundreds of dollars per month. Remember that you may need to shop around for a lender that will work with your exact circumstances, but the FHA refinance loan will always be a good option for most people. The Federal Reserve as of this writing just increased interest rates, but mortgage interest rates are still very low. In fact, rates have declined in 2017 even though the Fed has raised rates. Today you still may be able to score an FHA streamline refinance loan for 4% or less. That is a heck of a deal that can save you big each month in interest, and also over the long life of the loan. If you have a current FHA loan rate that is .5% or more above current rates, you could benefit from a streamline refinance. Some borrowers are able to lower their payments by more than $100 per month. The Federal Housing Administration is weighing whether to drop mortgage insurance rates by .25% in 2017. If they decide that the FHA program is stable enough to do so, this could help to cut your monthly payment. Even if the FHA decides against dropping mortgage insurance rates, you still may be able to lower your interest rate and possibly your mortgage insurance payment; this is due to a previous cut in the mortgage insurance interest rate in 2015. The Federal Reserve has risen interest rates three times in the last year. At first, mortgage rates went up, but recently, they have fallen again. It still seems likely that the Fed will increase rates again in 2017, and this could cause mortgage rates to rise again. It seems unlikely to us that mortgage interest rates are going to fall substantially in the near future. So, you may want to go ahead and lock in that low FHA refinance rate. Remember that FHA rates are usually under market rates, too, so you can score a really good deal. Some refinances are complicated, but that is not so with the FHA streamline refinance program. You do not need to get a new appraisal on your property. Your lender will use your most recent appraisal to get the value of the home. If you decide to do a cash out refinance though, you will have to pay for a new appraisal. The lack of an appraisal can make this refinance through FHA very fast. It may only take two weeks and sometimes less. Most lenders approved by FHA will not check your credit when you do a streamline refinance. If your credit score has gone down since you bought a home, this may not be an obstacle to getting a new lower interest rate. How to qualify for a FHA home loan in 2017. If you have lost your job or are working fewer hours, you will not have to worry about it for the purposes of refinancing. FHA lenders will not verify your income on a streamline refinance. Not having to have your income checked also will greatly speed up the time it takes to get an FHA refinance done. If your loan is under a year old, all payments must have been made on time. If your mortgage is more than a year old, you may not have more than ONE payment that was 30+ days late. The last three months’ payments must have been made on time. The FHA streamline program has a waiting period of six months. You must have made a minimum of six on time payments on your current FHA mortgage. It also has to have been at least six months since your initial payment was due. Regarding closing costs, many borrowers opt to pay a slightly higher rate in exchange for the lender paying closing costs. If you do this, you may have next to no out of pocket costs to refinance your FHA mortgage. You should expect to pay in the range of $1000 to $5000 in closing costs on your streamline refinance. The FHA streamline refinance process is a very easy way to enjoy a lower interest rate on your mortgage. While you cannot pull equity from the property, you can get a lower rate in many cases with a bare minimum of paperwork. If you have an FHA loan and you think that you can save at least ½ of a point on your mortgage rate, you should strongly consider checking with your lender about an FHA streamline refinance in 2018.